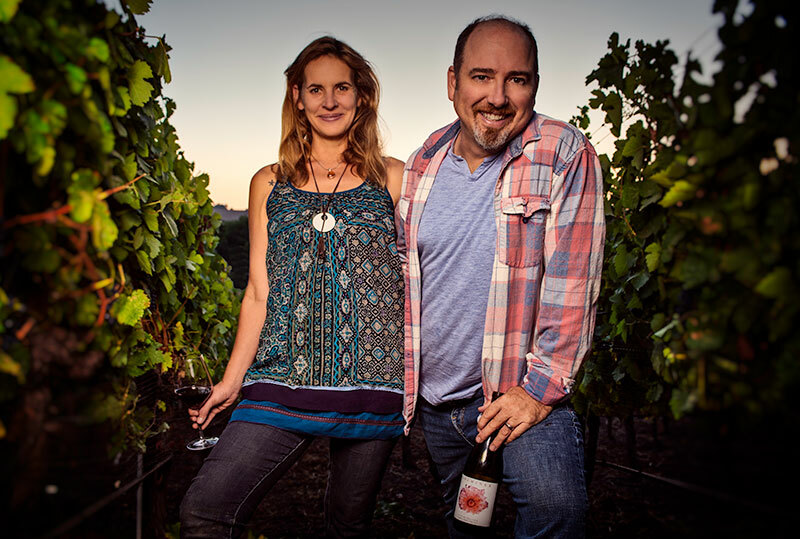 The first seed was planted meeting in 2009 and falling in love with Santa Barbara wine country and each other. We married soon after and while visiting Anna's family in Austria, a desire to settle down and create a life together in a more agricultural setting started to take root. We were pregnant with our first child and back in California (in LA the walls were closing in) when a chance meeting with a winemaking mentor and a property for sale with vines in the front yard grew into something we could no longer ignore. 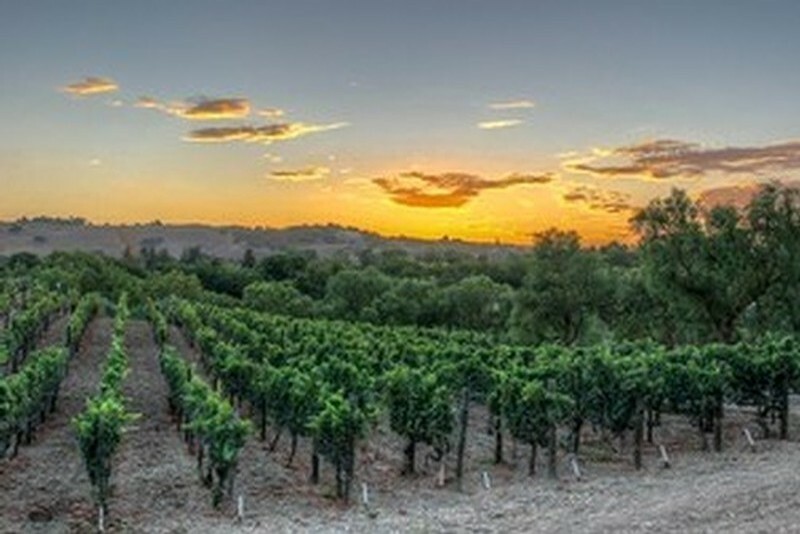 We went "all in" and decided to buy a fixer farmhouse and vineyard in Los Olivos and call the fruits of our labor of love "Solminer". Our son Linus was born the same year. We found our vineyard and farmhouse in 2012 and named it “deLanda” a combination of our first and last names. It reflects our personal desire to produce natural wines using varietals related to our Austrian heritage. Certified organic in 2014 and Biodynamic® in 2018 deLanda is evolving as we evolve as farmers. 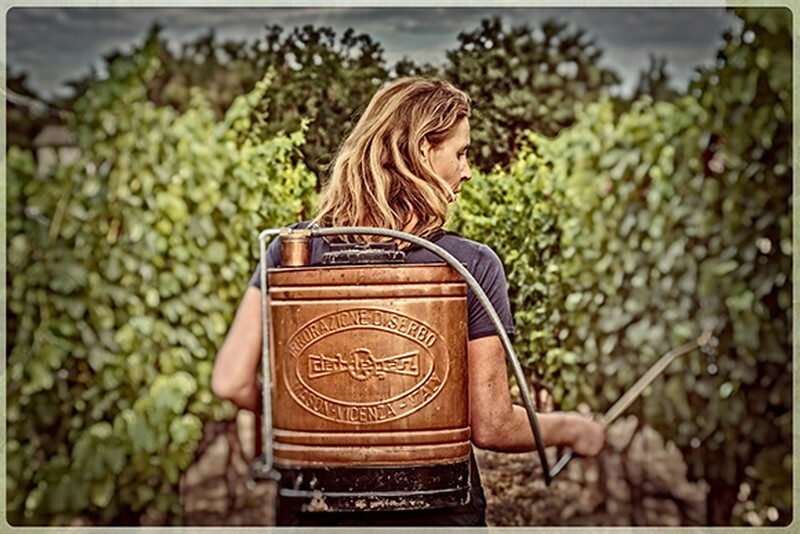 Ultimately it shines with individuality and biodiversity as we incorporate chickens, donkeys, sheep, bees, fruit trees, native plants, biodynamic compost, preparations and herb teas all to support the microorganisms in the dirt and health of the vineyard. Sol-miner as in mining the "Sun" which in turn nourishes the soul. 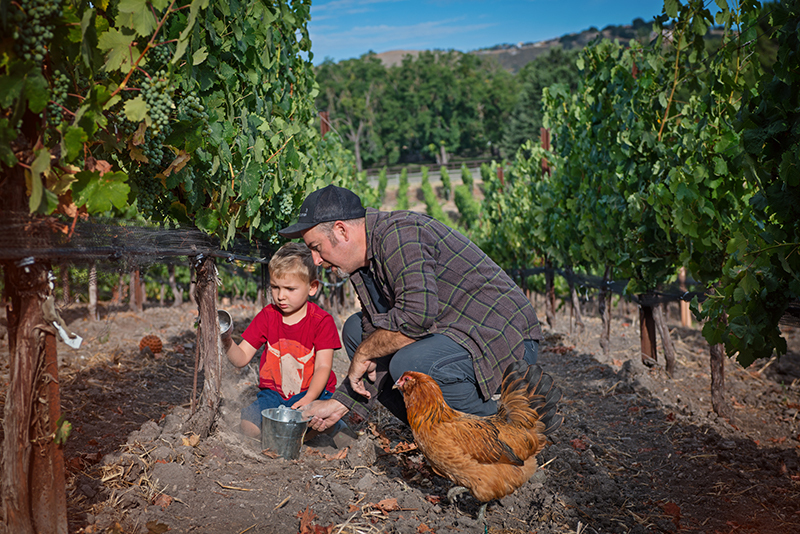 The name inspires us to discover and unearth the treasures in the soils of the California Central Coast. Our decisions have always been personal (not commercial) and involve what we call "conscious farming". As we learn about our little piece of earth and our place in it, the picture begins to widen. We have a feeling of connectedness as each trip around the sun gives us the chance to experience the magical process of exchange from the dirt, plants, fruit, wine, humans, sky, moon, sun and stars.